JL Hurt is committed to you, the customer. We know it takes satisfied customers to make a business great. 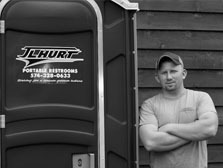 JL Hurt has built a reputation for being the best in the portable restroom industry in Northern Indiana. JL Hurt started with two port-a-johns and a pick-up truck. 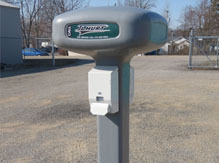 Between great customer service and clean, up to date portable restrooms, we now have hundreds of units and service ten counties in Northern Indiana. JL Hurt strives to be the best, by meticulously cleaning every restroom and using safe biodegradable deodorizers. 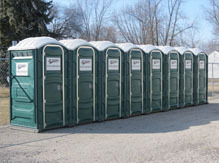 Do you need portable restrooms for your event? 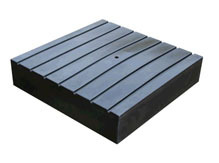 We offer a wide range of different porta john units to suit your needs. 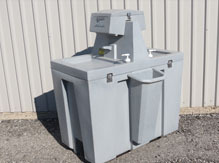 We can supply portable toilet units for your special event, construction site, or wedding. We know your event is important to you and ordering portable toilets does not have to be difficult. If you have any questions about ordering porta potties that are not answered here, please give us a call or contact us today.